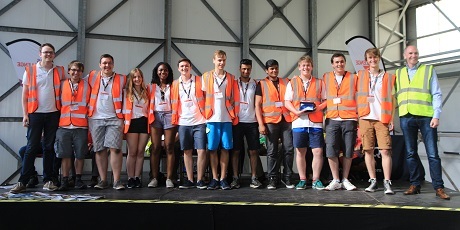 A team of students from Bath University soared to success when they won the overall prize at the Institution of Mechanical Engineers' (IMechE) Unmanned Aircraft Systems (UAS) Challenge in June. Frazer-Nash is a partner for the event, and sponsored the safety and airworthiness category which was won by Huddersfield University. The Bath students took both the innovation and design awards, sponsored by QinetiQ and GKN Aerospace, as well as the overall champion prize sponsored by Northrop Grumman in this year's challenge. 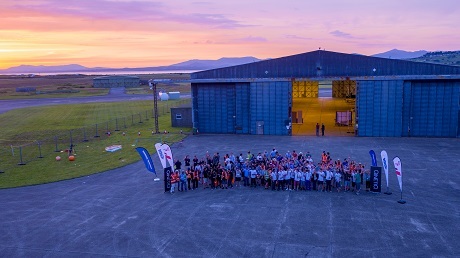 Seventeen teams took part in the final 'fly-off' event at QinetiQ's Snowdonia Aerospace Centre in Llanbedr on 19 and 20 June, including two international teams from Turkey and Pakistan. All the entrants had spent several months working through qualifying stages to undertake the full design and build cycle of their UAS. Competitors were asked to use their craft to perform a series of tasks in a simulated 'real world scenario'. Their UAS had to autonomously travel to a fictitious disaster-hit area via pre-planned waypoints, using image recognition to identify and locate a drop zone, and to deliver payloads representing humanitarian aid as quickly and accurately as possible. Frazer-Nash Aerospace Business Manager, Martin Soltau, was principal architect for the UAS Challenge, devising the mission and rules; while Principal Consultant Rod Williams was chief scrutineer at the event. Engineers Andy Lang and William Barnes completed the Frazer-Nash team, which brought its knowledge and experience of safety and airworthiness to assess the design, manufacture and system integration of the student-built prototype aircraft, in order to issue approval to conduct test flights. Will also created a film of the event which can be found here. "The teams at UAS Challenge 2017 showed a great deal of skill in integrating a range of technical systems to develop an excellent set of very viable aircraft. "The enthusiasm and team work shown was first class, and they applied considerable academic knowledge. Across the board, the teams grasped the technical attributes required and the implications to air safety; the challenge proved an invaluable means of converting theoretical designs into practical, safe and capable aircraft. "A marvellous effort all-round, with some exceptional aerospace engineering performances. Well done to all the teams, an excellent and enjoyable event!"